It’s been a while since I last blogged about maintenance operations around Envoy. Let’s see, starting with the 2016 holidays we saw fantastic performance throughout our stations. We battled through tough weather systems and busy flight schedules, and came out on top. I’m very proud of our crews in the hangars and on the line who always do their job safely and professionally, especially during hectic seasons. The Little Rock, Arkansas (LIT) base is up and running at the line, and performing maintenance on three aircraft each night (RONs). We’re on track with our mechanic hiring with classes filling up weekly at training headquarters. Supervisors and managers are already in place at LIT, and we’re in the midst of building out the hangar. Right now, the estimated time for the hangar opening will be in June 2017. As you may already know, we are back in New York City at LaGuardia Airport (LGA)! That means more mechanic jobs in the area and more hiring. Right now, we have our supervisor and managers in place to ensure the operation runs smoothly. Also, we have recalled several mechanics back to the area, and are interviewing and hiring mechanics daily. In other news, our Embraer 175 (E175) fleet is growing steadily with a total of 28 aircraft currently in service. 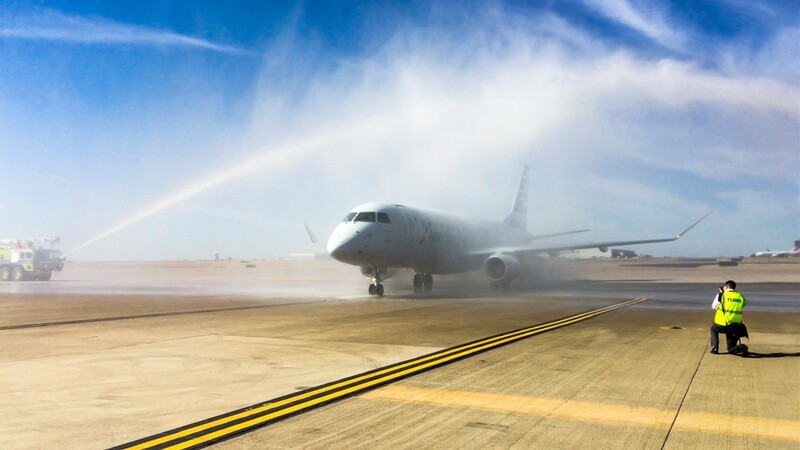 We recently celebrated one full year of E175 service with more than 32,000 revenue flights and a controllable completion factor of 99.8 percent. Way to go, team! Overall, maintenance performance in our Performance Bonus Plan metrics has been outstanding company-wide. In 4Q16, maintenance operations received maximum payout for all three months. Let’s keep up the good work! I want to take the time to thank everyone at Envoy for proving that we are the best regional airline in the industry. Keep checking the website for updates, news and great features. Recently, AMT Raibel Manzano was featured on our blog. What a great story, Raibel! One more thing while I’m at it, you can follow me on Twitter at @JMurray_EnvoyMX. Here’s to a great 2016, and an even better 2017!